Big thankyou to everyone from the PCPP community this build would not have happened if it wasn't for all the great ideas and feedback from all off you. Did not expect a feature so thankyou all once again. This is the second iteration of my Shift build with a few simple mods, the inspiration comes from the first console I ever played which was an Atari. It shows how far gaming systems have come, I love the addition of the wood grain laminate in combination with the black body and violet hue it really captures that 70’s vibe with some modern fusion. The Hifi feet are a really easy mod and gives the Shift a lot of character they can be placed anywhere on the bottom without any modifications to the base (see photos). I ended up mounting a small L bracket between the hdd bays with a single screw through the hole already available just so I could tuck the AIO hoses in neatly I found it a nightmare of a time closing the front panel with the tubing bulging out so this was the solution, not the most aesthetically pleasing but functional for case maintenance. As far as GPU temperatures are concerned this took me some time to figure out the best combination with an open air cooler. I tried every possible fan orientation! The best results yielded with fan placement as follows. I also tested this with Noctua’s industrial fans with all fans on max gpu temps would not break 66 degrees Celsius however I found the motor noise irritating so I swapped them out with the new Noctua line Chromax, no difference in CPU temps however GPU now tops out at 72 c though the system is really silent at idle. The i5 6600k is running at 4.5 with 1.2 volts with a max temp of 52 under torture this will now be my daily driver. This case is a nightmare to build in but I love it all the same. It turned out how I envisioned so now I will just enjoy my creation. Any questions and or constructive criticism welcome. And thanks for taking the time to read. So someone requested a build write up. This will be separated into component installation as well as the mods carried out in the build. First up you will find the Evolv Shift Manual has a pretty good write up (or pictures in this case) as far as build order is concerned however as some other builders have noted there are certain things you should do before the next step. I’ll try to make this as simple and clear as possible. Before you even open the case up I would recommend installing the CPU and AIO block onto the motherboard before proceeding also have a look at other builds and decide on how you are going to accommodate the tubing if your have 2 two fans on the right hand side it will have to be ran down the left, if not you can tuck them behind the case skirting on the right hand side. I initially had to RMA my cooler due to noise and installation whilst the motherboard is institute was troublesome at best but not impossible. Next up install your ram. Now you can mount the Motherboard whilst holding the AIO tubing much easier in my opinion. PSU, it’s worth noting to plug in all required cables into the psu before PSU installation and feed them directly out the back of the case you can however route them directly up through the cable channel though it doesn’t look very clean. SFX-L units will fit however it was extremely difficult to squeeze it into the space it required a bit of brute force whilst angling it in. Fans and Radiator (if applicable), a good step if you are choosing to add additional fans to either the bottom right of the case and or the rad itself is to do it now. You can with a 120mm rad fit a 140mm by 25mm down the bottom right. I chose to swap the Phanteks stock fan and use it down the bottom, whilst adding a Noctua 140mm nf14 up top to help exhaust. The NF12 can move 120 litres of air an hour compared to the Phanteks 90 litres. -Top exhaust -Rad and bottom fan as intake, simple as that tried every combination. I can’t speak for those getting high CPU/RAD temps as mine stays fairly cool though reversing them made gpu temps far worse. The Rad goes in fairly easy at this point a fan can be mounted underneath the case if you have measured your gpu and can squeeze another fan on top of the radiator do it, it improves static pressure immensely while improving airflow to the gpu. Next up GPU please please install this before you take any other steps as cables will block the retaining screw and can prove a nightmare to fiddle it back into place. (GPU can be reversed there is a nut and thread on the bracket which can be moved to the other side. Some people have noted it not to be long enough in some cases. Also open air coolers will fair better facing inwards. HDD/SSD easy enough remove brackets install drives they can be reversed as well if you need the SATA cables facing inwards for any reason. Cable management, This will come down completely to your board and header placement etc. However there are so many nooks and crannies to be used the left exterior side of the case has a great space for all your excess cables which I had a lot of due to cable extension. Obviously there is the cable channel itself. On the right exterior there are lots of sneaky places to route cables from your RAD/Case fans as well as 8pin MB power and gpu as well. Many of the cables can also be tucked in behind the skiting of the case which is hidden from few once glass panels are on. NOTE: there is a divider on the right panel to block intake and exhaust this can either be completely removed, if using one fan I would recommend blocking of the bottom 140mm intake gap and removing the divider this improved temps by about 2 degrees. The other option is to dremel enough out of the divider to accommodate extra cable. Additional: I had to dremel a small part of the bottom interior (right panel) as the two bottom screw heads for the bottom 140mm fan conflicted with panel going back on smoothly. Modifications, While basic there were a total of three mods two of them for aesthetics the other for practical reasons. The Hifi feet can be found on many online stores and sell for between $5 USD to$ 50 USD depending on what you are looking for. Typically these feet use m4 screws. They can be screwed through (in any placement you choose) on the bottom of the case. Make sure you have screws long enough approx 1.5cm washers may be required. L bracket/AIO tubing management system, this was simply because the AIO tubing was so stiff when I had the tubing running down the right side it was no problem tuck it under the skirting and of you go. However the left side was a different challenge I didn’t want to use zip ties so I came up with the idea to add the bracket between the HDD/SSD there are many spare mounting places between these two drives. I just had to remove a rubber grommet and it went in perfect with a washer and a spare m4 bolt and nut. Add a case badge and it looks tidy enough. The bracket was 50 cents from the hardware store. The Laminate, probably worth noting this is not vinyl. It comes from the hardware store and cost me 5 bucks for 2 meters. I just measured the front of the case cut it straight with a ruler and scalpel/craft knife the width is about 13cm from memory. Applying it is difficult to get it right you need to get it straight the first time and as you are laying it use a squeegee to avoid bubbles under the laminate. If you pull the laminate up due to a mistake it will bubble no matter what your do. Vinyl is much more forgiving in this case. Laminate however can have a textured effect so it looks and feels very convincing. Once laid cut around the top and bottom with a craft knife make sure to cover the blade all except the tip to avoid scratching the paint finish. If you decide to remove it later it will not damage the paint. If GPU temps are proving a problem here are some things you can do to improve them. -Remove dust filters on the right panel this will give you about 3 degrees less. -Top Dust filter removed will give you 1-2 degrees less. 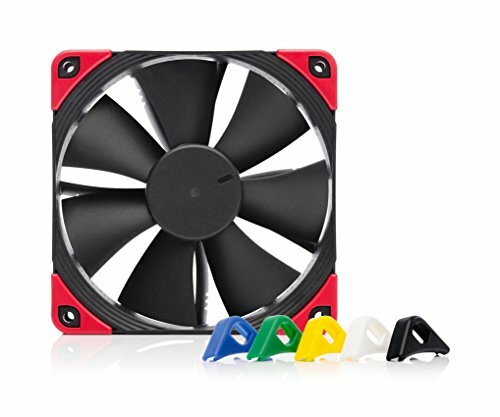 -While using just the stock fan remove the bracket and cover the bottom right fan hole with something as simple as folder plastic cut to size -2 degrees. Apologies if I have missed anything but that about sums up my build order. Hope you enjoyed the read and happy building. Ok.....This is absolutely insane, love it. Thanks! just wanted something a bit different. I'm really loving how you've modded your 2600. Only... I can't see where the cartridges go now. I can tell. Absolutely a stunning build you created here. I never owned an Atari console, since mine was a Nintendo Entertainment System (Super Mario Bros. and Duck Hunt) when I was a little girl at age 4. Technically my parents spoiled me there. I certainly didn't pay for it. That can be understandable, but I think you handled it well. Thank you for sharing this amazing build. I enjoyed the photos and your description. Plus one all the way. Wooo! Congrats for feature! I'm so glad you got the spotlight! No problem, just happy for you. :) And I suppose it's offically 16 builds, just two on here are "upgrade versions". I haven't had the time to post my two other computers quite yet. Not amazing as yours, mine are pretty basic or common by now. Enjoy your lovely computer and the well deserved spotlight! Well deserved feature well done mate! Thank you, this theme was originally intended for the node 202 though the shift just captured me being so different. Awesome build, I like how you routed your AIO lines and have the LEDs shining upwards from left to right with the wood paneling on the outside, it reminds me of a jukebox more than an Atari though +1! Thank you, the tubing is a nightmare to set it in place the way you want, thus the bracket. good pick on the feet, gives it a 'heavy quality' feel with the wood on the front. Awesome machine! 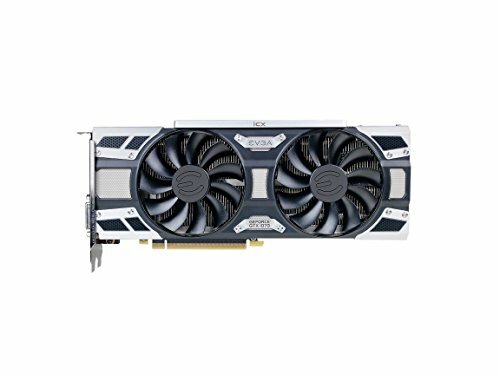 Buying this case today to start playing with fan placement before the full build, thanks for the detailed build order! +1 for making a mini itx not look disgusting inside. Love the wood. Very clean. 21 degrees it is a generality in the rooms of house;) You have not met any problem level temperature in stress test for example? Did you use a vinyl for the wood finish? No its laminate so its actually textured it looks really convincing. So did you just glue a custom cut piece of laminate on the existing panel? No not quite the laminate is thick though it comes in a role so just cut to size, absolute pain to lay it straight and if you pull it back up you need a new piece as it bubbles quite badly. then once it is on I cut around the top and bottom with a surgical knife with some electric tape covering everything except the tip of the knife so I wouldn't scratch the panel. I was going to try some Auto vinyl but this turned out really good, looks very convincing. Wow seems like a lot of work but it looks great. Well done! 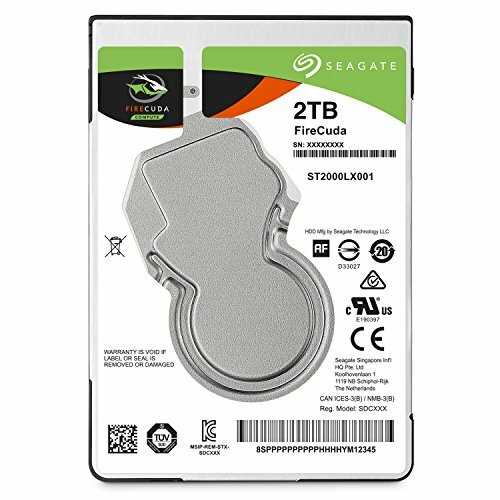 Yup awesome has a 16gig sad cache built in so if your playing the same games often it loads really quick +2tb for the price and form factor its good value. Sooo sick man!! I love what you did with the feet. It's awesome to see another Shift build out there. Thankyou, there are heaps of hifi feet on amazon, these were only $10 and they are aluminium feel really nice and good quality. Just need longer m4 screws and some washers and your set. I'd love to see a setup that has wood-grain theme to it, especially on the desk. Your +1 and feature is very well deserved. Thanks it took a lot of trial and error and patience but came together in the end. Love the build, I'm hoping my HTPC build turns out as well as yours did in this case. Also really digging what you did with the wooden exterior. What do you plan on building in? good luck and thanks for the comment. It will be in the same case as yours, Shift X. It looked like it would a fun challenge to see how much water cooling stuff could be fit into that case. Thankyou it was a pain to get it all in but worth it. Wow, that is a lot in a relatively small space. Good job. Especially for the price. Thanks the i5 is still going great 3 years later especially with the overclock. My understanding about liquid coolers is that the radiator should be above the cpu block - do you have any performance issues with it thusfar? Absolutely none :) I think if could impact it by maybe half a degree but temps are amazing especially with the overclock. I've had it on its side and there was no difference in temp. Well thats good to know. The pc is a work of art, nice job. Looks amazing! I love the wood grain look. very retro!. Any reason why you chose purple for the glow? How the heck did you get that wood panel on the front? That is AMAZING! Just saying, imitation is the best form of flattery. P.S any guide on how you built out the case? Hey mate happy to do a write up, though do you mean more in context to the mods itself? or the build from scratch? Thanks for the compliment. Just added a full write up for you enjoy. That guide is much appreciated, I was especially interested in the front laminate that you did. I think it would blend into any room flawlessly as a piece of furniture which is a look I've been after. One Question; Why The i5 6600K? Working on a shift build myself, just ordered 3 of the 140 Noctua black Chromex fans. Thanks for the helpful info you provided regarding setting those up. I have some questions if you find the time. Any further advice with cable splitting, extensions, ect for setting up all this? Why did you order some 140 and some 120 size fans? Should I be ok with 3 140s? Also this is my first water-cooled build and my last build was over 10 years ago. 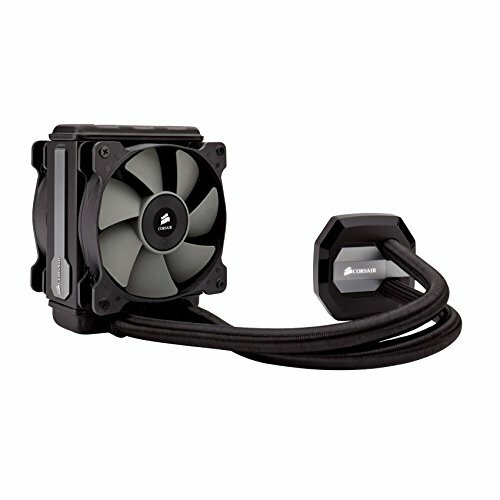 When you say you placed a fan on the AIO radiator do you mean you replaced the stock one on it or added an additional fan directly to it? Thanks in advance PS: Awesome looking build! Hi, and happy to help, it depends on your radiator though the case only really supports 120mm rads so I replaced the two 120mm fans on the rad with noctuas (industrial are the best but the noise drove me mad) so I went with there standard 120mm (see parts list) I kept the stock phanteks 140mm but moved it to the bottom right as intake. Then placed a noctua 140mm up top as exaust. So all up you can fit two 140mm fans on the side and two 120mm fans on the rad as push pull :) I will replace the phantecs 140mm at some point it may give me a degree or two of the gpu. Thanks for the reply! The case manual states it supports up to 3, 140 or 120 case fans. So excluding fans installed on the rad itself, you have 2 case fans and 1 empty case fan slot? I see you have one on the side and one up top for exaust. Did you need any extension or splitters for anything? Thanks again very much! Yup if your sticking to air cooling 3 140mm fans, the rad takes up the fan slot. As I said before just a y splitter for the rad fans. It really depends on you fan header placement if you need them. That wood panel looks so sick. Love it. Did you need to get a fan splitter since you have 3+ fans connected or did your MOBO have enough ports? I used 2 fan splitters for 4 fans. Have 3 headers but splitting them up was easier. Maybe I missed the part that has to do with my question. 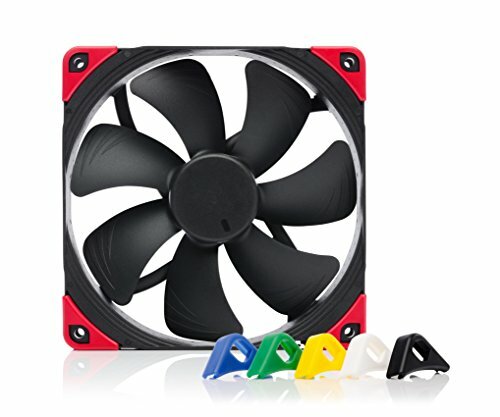 Can you in total install four fans: Two 140mm and two 120mm on the CPU's radiator? Good to know it's possible! Most EVOLV SHIFT builds I saw with the 120mm rads only use one fan for the rad, so I thought it wasn't possible. Now I feel much more confident with approaching to make my EVOLV SHIFT. Thanks for the info and 1+ for the build! Have you suffered the issue where a video card's performance gets throttled due to some issue with the ribbon cable? Where did you get the Hifi feet, and do you think you could attach them to the foam inserts that are the current "feet" for horizontal use? Hey they are from Amazon about 15 euros, for vertical use you have to take the original feet off. For horizontal you could screw them though the glass panel with some modding (to the screws/thread). This is awesome, but i'm a little confused at how you cut the laminate at the top/bottom? You're cut looks so clean. When you mention that you tape the knife off, do you mean tape all of the blade except a <mm or so of the tip? Then do you just cut on the fly - maybe it's easier then it looks but you line is very straight and that seems near to impossible to achieve? Cover the blade leaving one mm, then flip it over onto a flat surface so you just run the blade against the edge off the panel, that is how I got it so straight. The tape is just to protect the panel. :) a bit of trial and error but once you have a system going it works great. what a gorgeous build you have !! really awesome, well done !! I would like to ask you about cables from PSU to components what are the length you would recommend to directly connect everything? Thank you sir, and she's still going strong. Does the laminate come with adhesive ? Yeah sure does, has held really well on both my builds. Thanks bud, glad you enjoyed. It's an angled 45 degree bracket about 3cm by 3cm, you can pick them up from any hardware store. Then bolt it to the case, (I used a M4 screw and nut) there are a couple of holes between the two 2.5 harddrive slots which you can mount it to and adjust it to your taste. Then just added a spare evga badge I had to pretty it up a bit. Hope that helps. Wowzers. Missed this one a while back. Really digging your aesthetic on this. Great job! Nice build. One question, does the cooler come with pre-applied thermal paste? Thanks and Yes it certainly does. Well yes I would say so, unless you have custom length cables, I used extensions which wasn't the best idea given space is a premium. Noctua fans are great for the rad and exhaust very quiet and when audible it's a pleasant hum, though they are very expensive. Originally had the industrial noctua on the rad but to loud for my taste and I didn't see a huge increase in temps maybe 2-3 at idle. 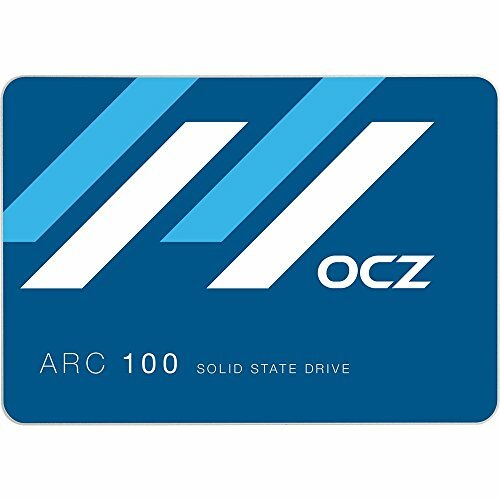 As for the 1070sc2 I've used this card in most of my builds, so the rvz02 is currently dismantled. Thanks for the compliment.